We're doing a lot of work on the inside of our house, so putting my car in the garage isn't going to be an option this winter, has anyone had a car stored, and if so what were the costs and arrangements? 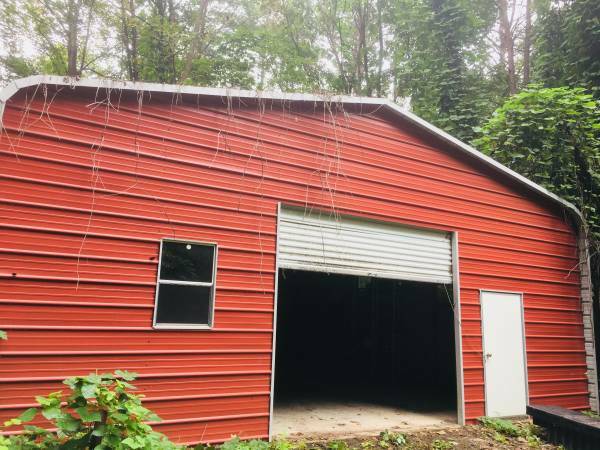 Around here in my area in Georgia a non climate controlled 10x20 inside space is around $150-200/mo. I just rented one for furniture storage during remodel. A couple of choices come to mind. First is find a friend with an extra stall in their garage at home and rent the other bay. Park the car as far away from their doors as possible and if the garage is attached to their home just unhook the battery/cover the car and walk away until spring (with an occasional visit as outlined below). Probably less rent money per month too. Second is using one of the public storage facilities. Cost is more/mice may be present/temps change. Check security in the place too. You get to do more prep too, Fill tank/extra air in tires/unhook or remove battery/rodent repellant and still a cover. Also check for liquids left under seats etc. Water/soda can freeze and then break containers making messes on carpet/seats. One other thought is that if possible with either of my suggestions is try to take the car for a short drive every month when street conditions allow. Fill tank before hiding it again. DO NOT just start up the engine and let run for 20 minutes, the car needs to be moved and engine/transaxle/bearings need to be actually warmed up to operating temps. NOTE: above is only my opinions as always, good luck. If you regularly store your car anywhere but on your own property, be sure to contact your insurance agent and make sure your loss coverage is not excluded. I've stored cars at local rental locker places for $100-$140 a month depending on local deals. I would choose that option over using a friend's garage. A mystery dent or ding that shows up while in their possession can lead to a ruined friendship. I don't have any friends with garages that are empty enough to fit a car. Maybe I run with the wrong crowd. Thanks Dave, if I could edit my post above now I would remove the 'friend' idea. Your insurance point is well taken, I made a presumption that the OP would visit with his agent. Eddie after reading my reply about using a friends garage and then azdave comment about possibly losing a friend over my idea I might suggest he values your friendship a lot and doesn't want to take a chance with your car. Or maybe he wants to stay a buddy and not be responsible for your car. You could just get to know Jay Leno. I'll bet he has some space somewhere. What about driveway parking with a quality cover? That's how I park my Corvair and '61 Dodge D100. A good cover costs around $300 and will protect from most any weather condition. It won't protect from criminals or other vermin, though. > responsible for your car. Yours wasn't there when I wrote mine. I just didn't type fast enough I guess. > didn't type fast enough I guess. I beat you by a minute. my time 1132 yours 1133. I put whole cloves into the cars to keep the mice out, and it works well. 4 bottles to a Corvair interior, and one in the trunk, and nothing in the engine. Make sure that the air doors are closed, and put steel wool into the exhaust pipe. 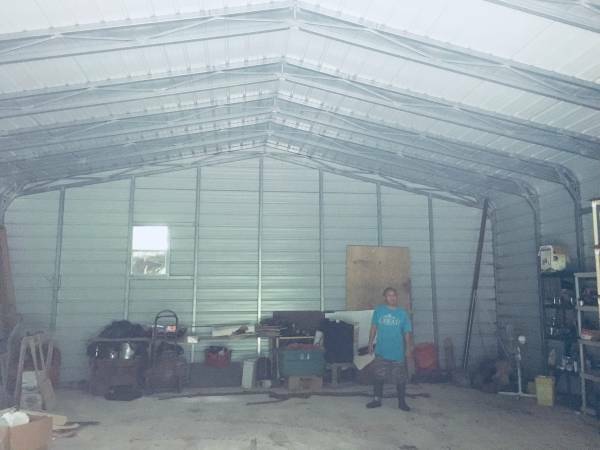 That and all the other suggestions about battery, etc..
Can you put up a Harbor Freight 17 foot soft garage on your land? If you can, make sure to lay a tarp down first to keep ground moisture away and put 2 x 8 runners on tarp for tires to run up on. Then put a 18" high solid plastic fence around it to keep mice away from it. I keep my 2 anchored down with dog chain, turn buckles and 18" ground anchors at all 4 corners. Good for 25 knot winds. With hurricane winds, I have heavy duty ratchet straps over the tubes on the corners and attached to lawnmowers and other heavy items in on3 carport. The other has heavy duty logging chains wrapped around a concrete block with a deck block sitting on top of it. I think both should hold, but if not insurance will cover them. Edited 1 time(s). Last edit at 09/13/2018 05:08AM by Lane66m. 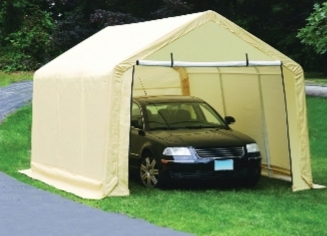 I've been looking into canopies and storage, a canopy might work, though I'd need to get a 16' wide one to cover the width of the driveway as I'd have a car parked beside it. The snow load concerns me though, does anyone have an experience with these over the winter? I really don't want to spend more storing the car than the car is actually worth. My car isn't terrible, but it's far from a show car and has heavy wear and tear at this point, especially as the paint is well and gone. It runs and drives well now though. I do not know the "Snow Load", or if they are even rated for a slight amount of snow at all. BUT, I have seen people do their own re-enforcing of those portable canopies! How much snow do you get in a single night? You could just make it a daily habit to go knock the snow off. 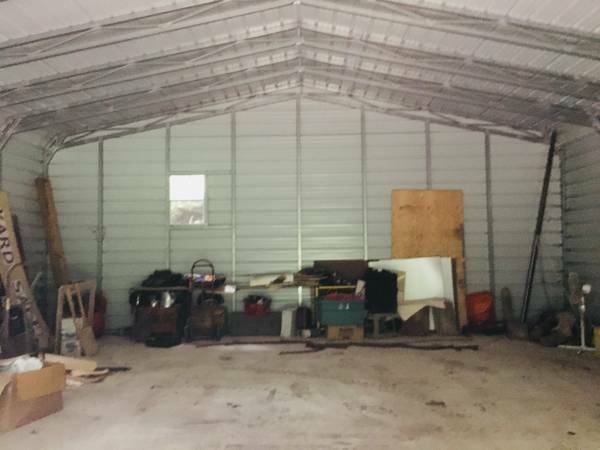 Here is a storage building for rent in Fredericksburg, no electricity, no insulation for what appears to be $250.00 per month. and large enough for several vehicles. Check your PM's, I'm forwarding contact information if this is of interest. This is NOT mine and I have no association with it in any way. It does appear to have a concrete floor too. Edited 1 time(s). Last edit at 09/17/2018 05:57PM by Caraholic4life.